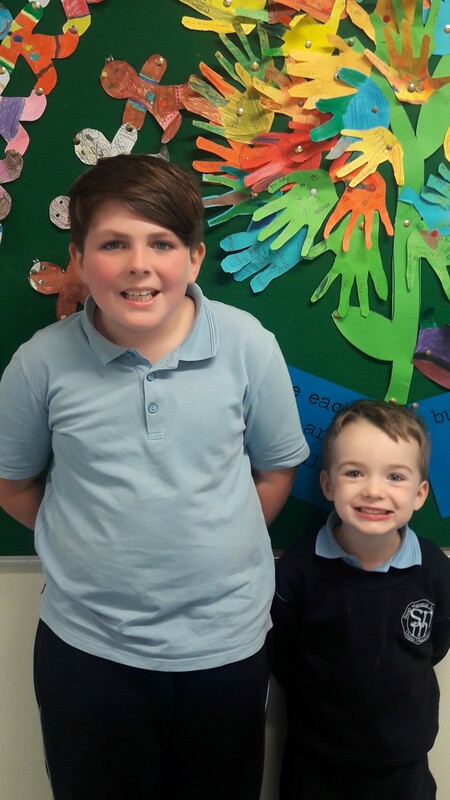 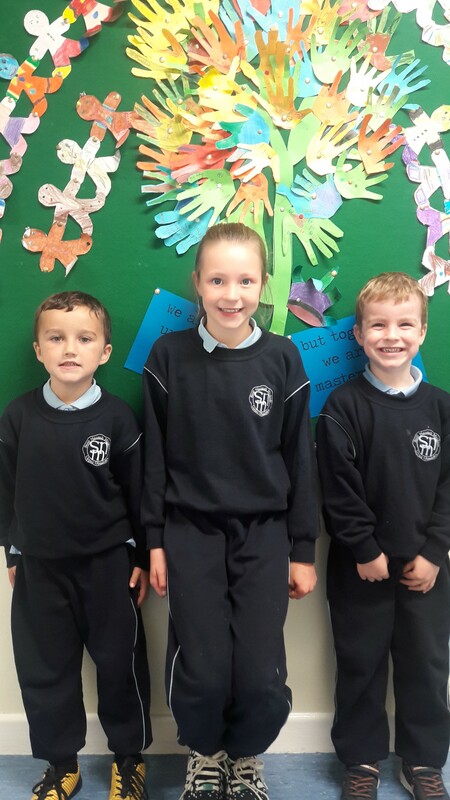 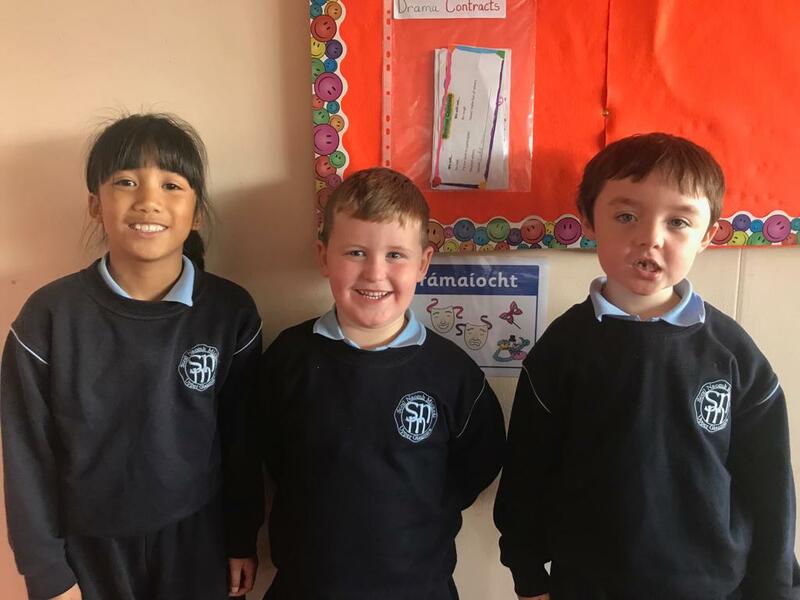 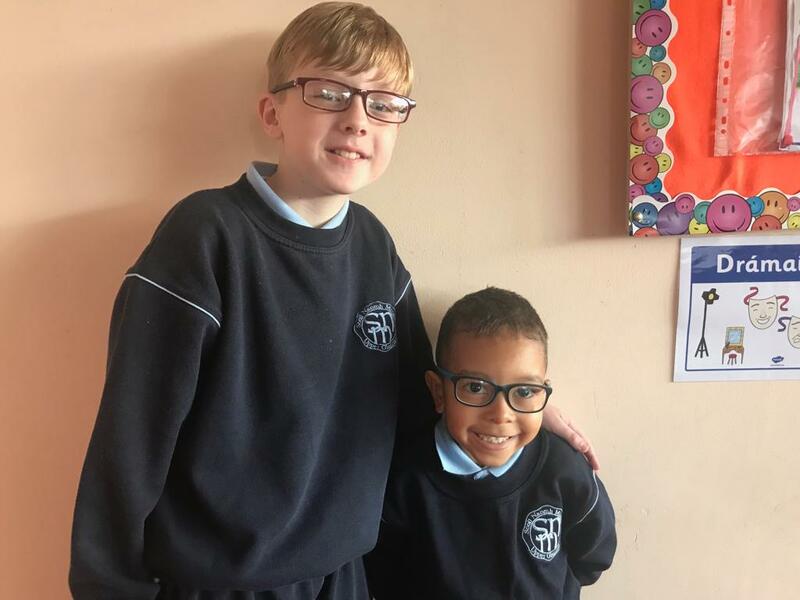 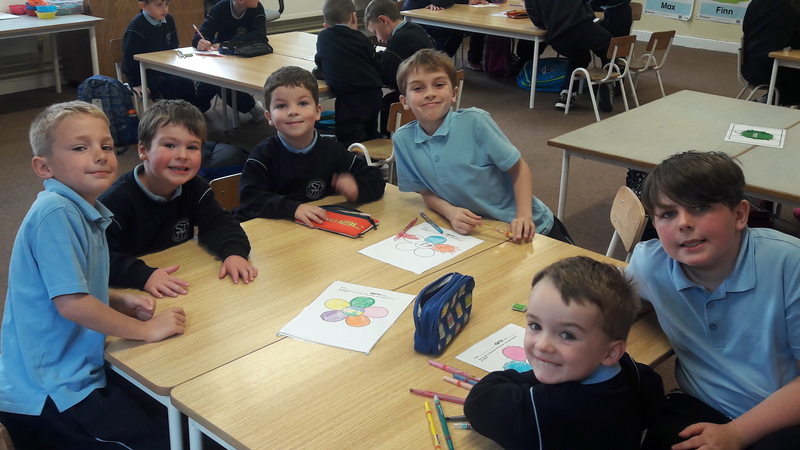 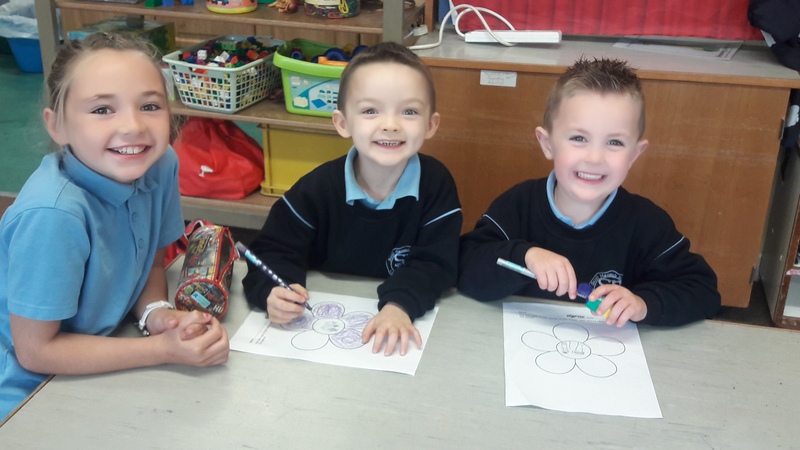 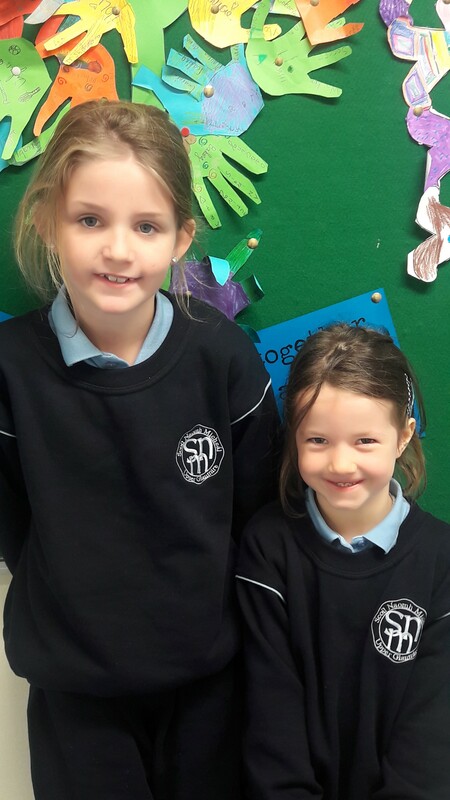 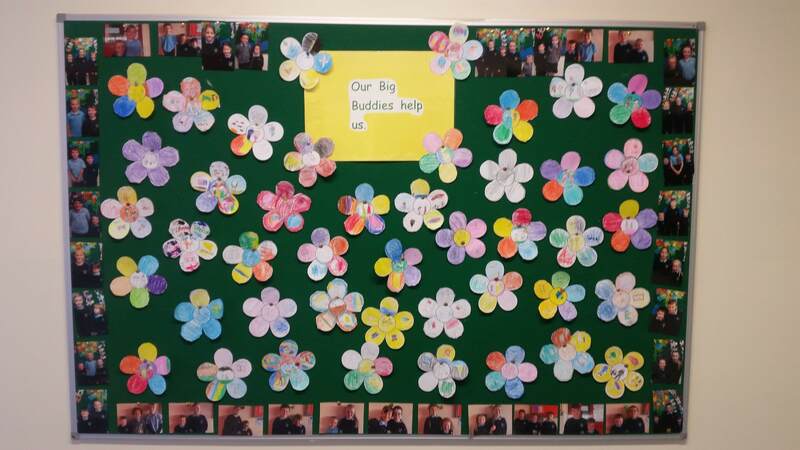 Our third class were very excited to finally become big buddies this year. 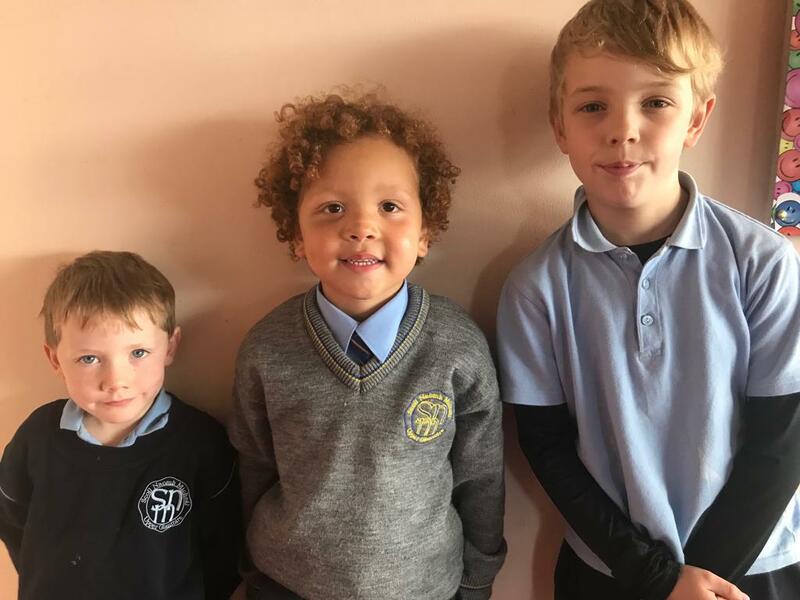 They all introduced themselves to their new small buddies, got their pictures taken and chatted with them about what they like to do outside of school. 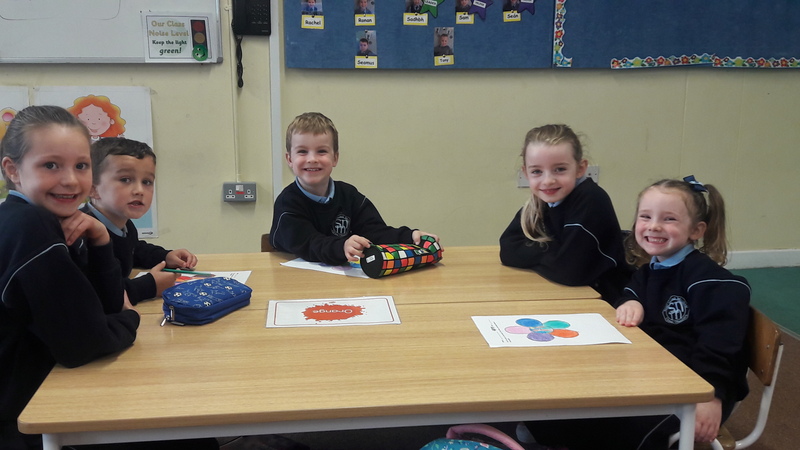 Here are the third class with their new buddies. 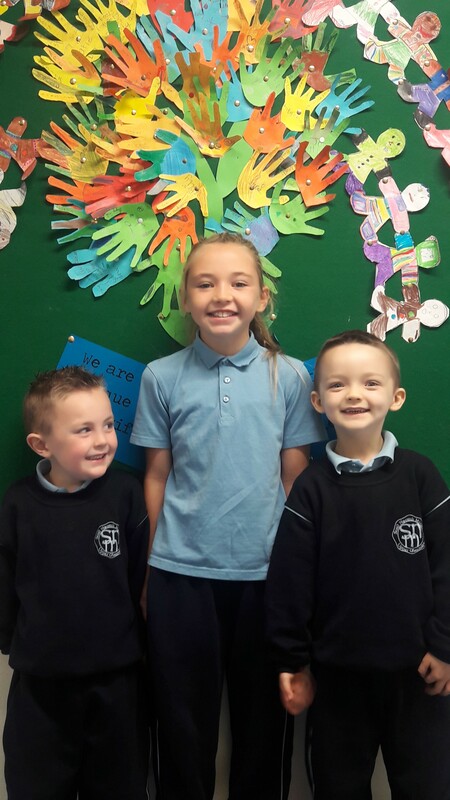 You might spot the artwork when passing through the school.